Every year, The Legacy Center joins more than 50 local nonprofit agencies in a one-day giving challenge – called Give Local Midland. The proceeds of this 24-hour event go to the endowment fund of each agency, helping ensure their long-term success. This year’s event took place on May 3, and we raised more than $10,000 (before matching funds) for The Legacy Center endowment fund. 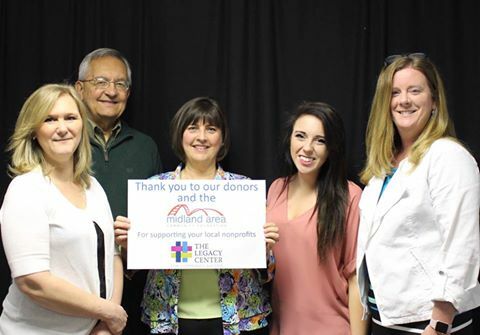 Thank you to those who supported us, to the Midland Area Community Foundation for hosting the event, and we look forward to Give Local Midland 2017!